Just In! 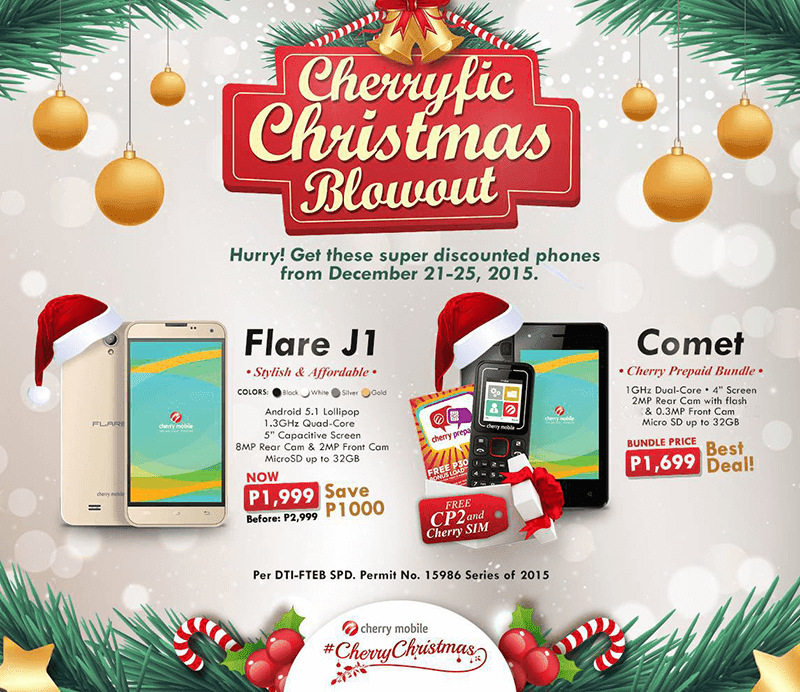 Cherryfic Christmas Blowout Announced, Get The Flare J1 For 1999 Pesos Only! Home / cherry mobile / mobile / news / Just In! Cherryfic Christmas Blowout Announced, Get The Flare J1 For 1999 Pesos Only! Great news everyone! Cherry Mobile just announced on their Facebook page that they dropped the price of their Flare J1 from 2,999 Pesos to just 1,999 Pesos. Saving you 1,000 Pesos out of this solid entry level handset with 5 Inch screen and Android 5.1 Lollipop out of the box. Aside from the Flare J1, Cherry Philippines also announced that the Cherry Prepaid 1,699 Bundle will now come with the two Cherry prepaid SIMS, Cherry Mobile Comet smartphone and CP2 feature phone. Great deals right? This promo runs from December 21 to 25, 2015 only. This might be a great Christmas treat for you, your family and friends.